The mecca for all objects by designer John Derian is located across three distinct shopfront spaces at 6 East Second Street between 2nd Avenue and the Bowery in New York City. 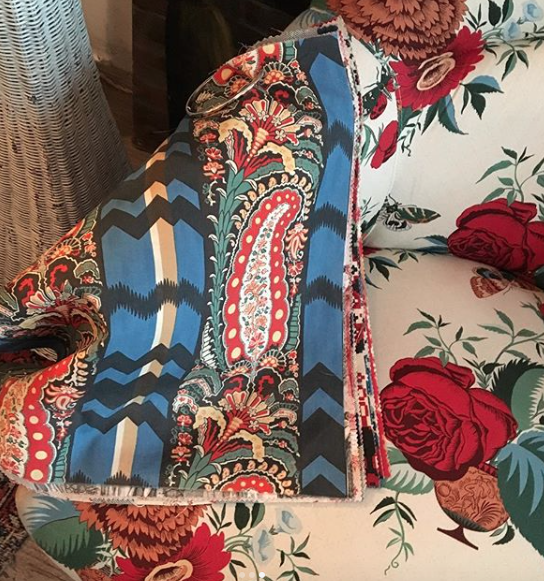 Derian’s signature découpage glassware is accompanied by hand-selected French and American antiques, home decor, linens, fine art, and accent pieces from around the world. A must-register destination for those who crave charming whimsy combined with craftsmen-like artisanship, customers can direct all inquiries to 212.677.1003. Many of Derian’s most iconic images have been given a nostalgic and festive transformation for the holidays. 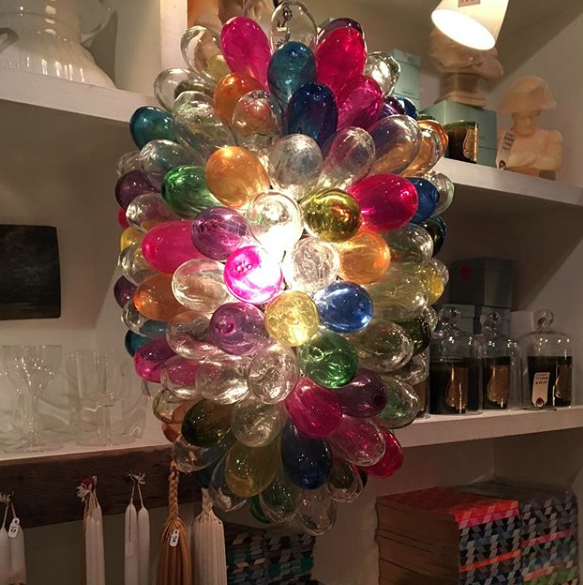 The store is adorned with colorful, gleaming glass ornaments handmade in Poland. 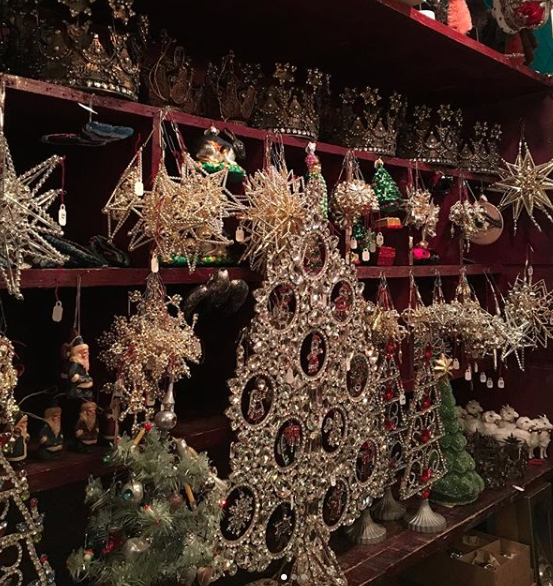 The ornaments are free blown or blown into a sculpted mold, then hand silvered and painted. Since the objects are made by hand, there are slight variations from piece to piece. Also of note are the elaborate crowns that look best suited for a Bavarian prince. The crowns of various shapes and designs are available in gold and silver tones. Within the store, the crowns are lined up, one by one, along shelving. They could be used as everything from tree toppers to dining room table centerpieces and much more. Another bewitching series of objects are the Kris Kringle sculptures and craftspieces. They feature a rustic, wooded, slightly darker image of Santa than the typical jolly old man in a red velvet suit. 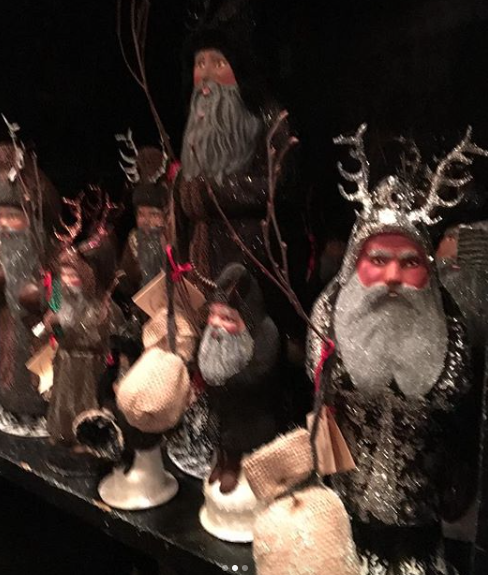 These Santas look somewhat like Vikings with antlers atop their head and silken fur robes in hand-dyed tones. This is the version of Santa that emerges from the forest on a snowy evening (something of a Father Winter figure). To shop the complete online holiday collection, visit www.johnderian.com.